Noah, Abraham, Moses, Jonah, Samson, and David. Have you heard of these people? Their stories are part of the Old Testament and are important even today. This study of the Old Testament will help you understand how all the stories found in the Old Testament fit together and what lessons can be applied to your life today. You will walk away with a better understanding of how God graciously reaches out to you, His child, and calls you to Himself just as He did to His people in the Old Testament. Even though I’ve studied the Bible for many years, I have learned many new facts and insights about the Old Testament. 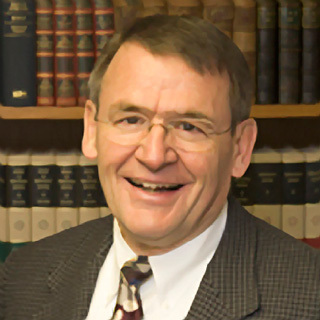 Dr. Buzzell is an excellent source of information about the Old Testament. I especially benefited from the lecture on poetry – it taught me more about how God wishes to communicate with His people. I also loved the lecture on the wisdom books – I would like to have my daughter read both of those lectures – in fact, I can think of several people who would enjoy those chapters. Understand why the Old Testament books are placed in the order that they are and identify the categories of books contained within the Old Testament. 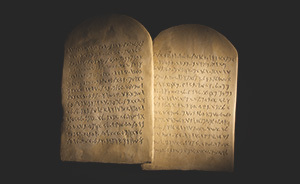 Explain the characteristics of each of the categories of books in the Old Testament. Identify the four eras (or periods) into which the Old Testament is divided. Understand the general narrative flow and major events in Old Testament history. Describe the important people in the Old Testament and their contribution to Old Testament history. Gain a deeper understanding of the authors of the Old Testament books, their purpose, and the context in which they were writing. Know the characteristics of Hebrew poetry and gain a deeper understanding of wisdom literature. Understand the context of the Prophets and summarize their collective eternal message. Great course! Gave me a great fresh perspective on the material. Loved the color books approach, this really made the sequence of events easier to understand. Thank you for a great class! Excellent course. It was very captivating. I learned more then I could have imagined. Dr. Buzzel was outstanding. Blessings! I have learned so much during this course! I view the Old Testament in a whole new way and am very excited to learn more about it! I have already recommended this course to 2 friends, 1 of which stated he is joining the monthly subscription today and will be going through the entire “Basics” series as I am. Phenomenal course!